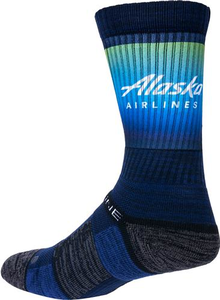 Step out in style with these custom Alaska Airlines athletic socks! 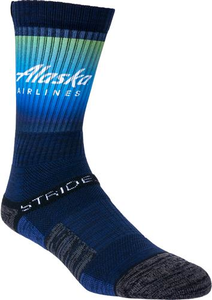 These socks are bound to catch attention no matter where you go. - SWEAT WICKING AND ANTI-MICROBIAL IN THE FOOTBED. - MICROPOLY/NYLON UP TOP TO STAY BREATHABLE.